See my description for Fotasperrnuten. If Botnanuten is your only goal, then drive a bit further and access the peak from Byrkjesete. 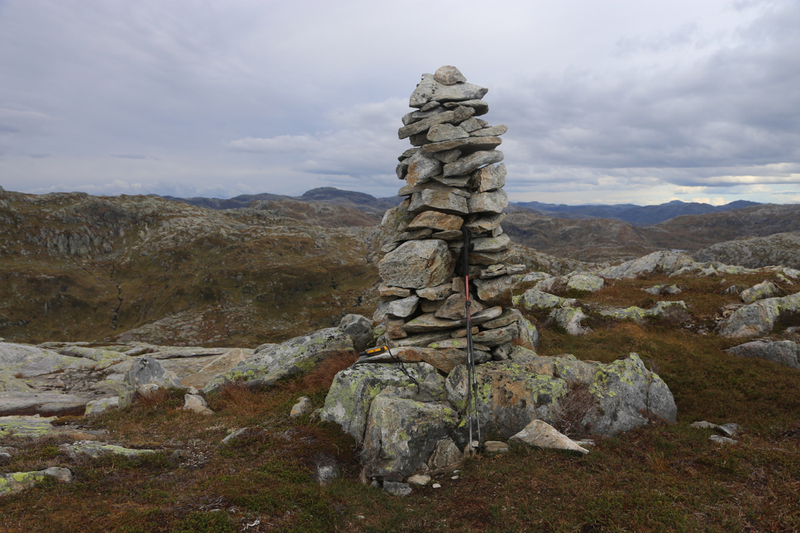 I visited this summit on my way back from Fotasperrnuten. 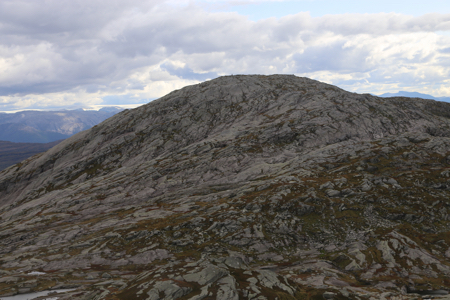 To hike between these two summits took about 2 hours. My route was not really optimal, I was in no hurry and sort of walked where it looked best at any given moment. I first descended from Fotasperrnuten to the northeast, care must be taken as the terrain is rugged. Next, I crossed over point 1117 on my way towards point 1106. I did not visit this point, but rather hiked on the north side before crossing into the small valley between the two ridges. 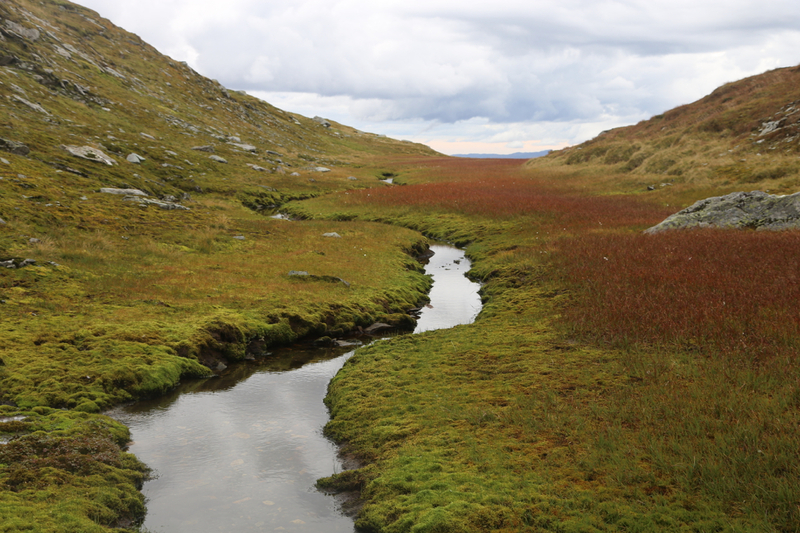 Finally, descending along a small trail to the broad saddle connecting to Botnanuten. From here, an easy ascent mostly on smooth rock to the summit. The descent should not be repeated as I kept getting myself into steepish, difficult terrain. One should really locate the trail to Byrkjesete and stick with it. After much (avoidable) trouble, I crossed the river on the bridge that almost directly connects back to the parking where I recovered my car. Summit view across to Folgefonnen. 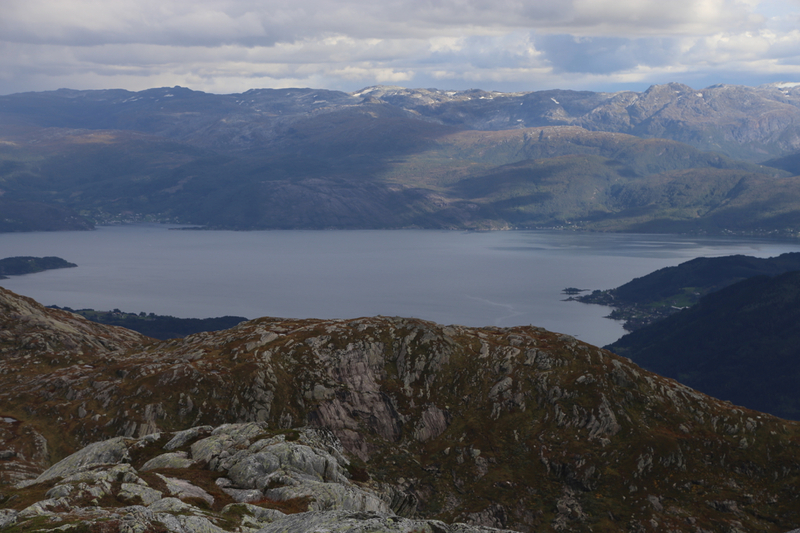 The Hardangerfjord as seen from the summit.